SEGA is partnering with Grounding to bring us another Space Channel 5 title but with a twist: Virtual Reality support. 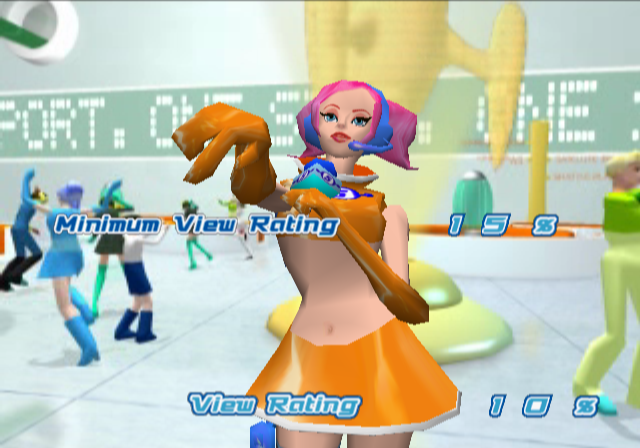 Space Channel 5 VR: UkiUki Viewing Show is a virtual reality game where the player can watch Ulala’s Swingin’ Report Show from the perspective of one of the show’s viewers. A demo will be available at the upcoming Tokyo Game Show or TGS. No other details have been given regarding a release date or supported hardware. Would you be interested in trying out a Space Channel 5 VR experience? Let us know in the comments.